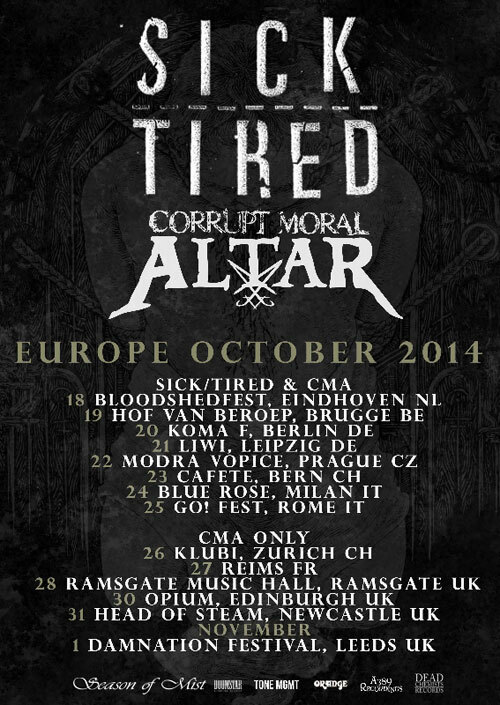 CORRUPT MORAL ALTAR hit the road for the second leg of their UK tour 2014. 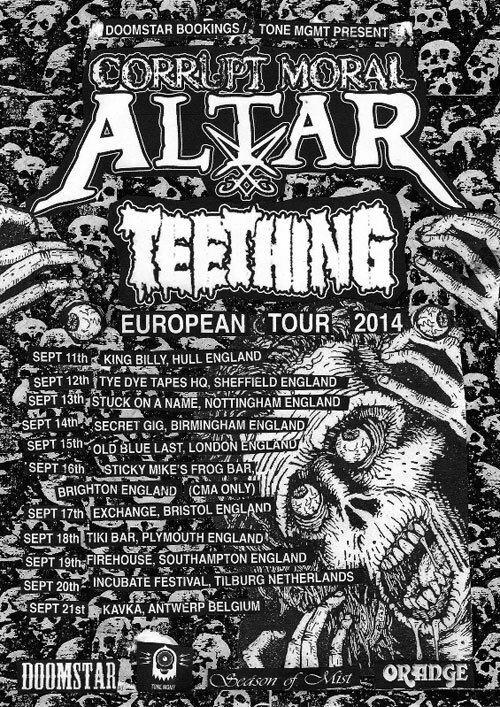 The grinding sludge maniacs will be joined by TEETHING and kick off the riots at the King Billy in Hull on tomorrow night, September 11th, and continue to rage through England until hitting the continent for Incubate Festival on the 20th of September with an additional show in Antwerp the day after. 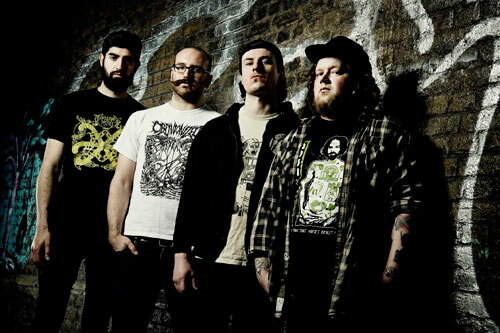 CORRUPT MORAL ALTAR tour in support of their freshly released debut album Mechanical Tides, which is available to be ordered from the Season Of Mist webstore.